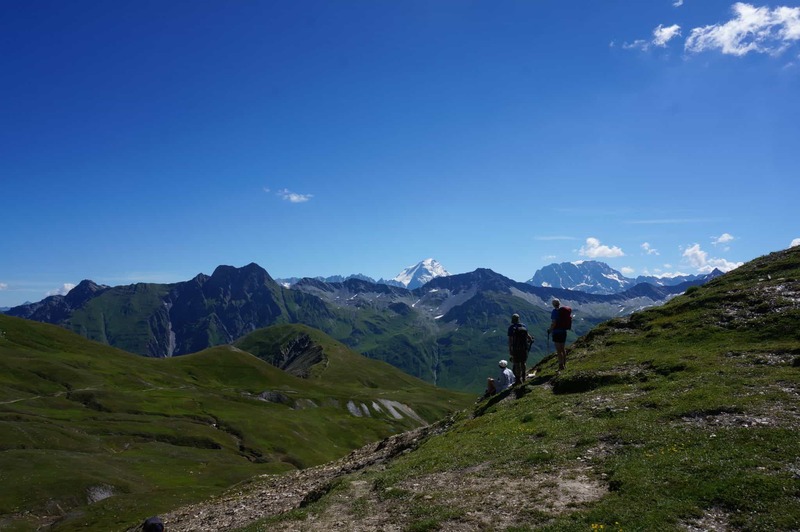 With just a bit of advance work and preparation, you can make sure you’re physically ready to have your best experience on the Tour du Mont Blanc. Because of its relatively low elevation and minimal technicality, the TMB is a pretty approachable long-distance trek for the casual hiker. That being said, it’s still a serious physical challenge that will push your body to new limits. You will enjoy your trip infinitely more if you train ahead of time. This is even more true if you plan on camping (and carrying the heavier backpack that goes with it). Don’t worry, we’ve got you covered. Read on for our simple advice on how to feel your best and enjoy your TMB experience to the fullest. Training will make all the difference in how you feel at the top of a pass like this! Obviously, everyone will approach the TMB with varying levels of fitness, past injuries, and overall health needs. You’ll know your individual situation best, but you should generally focus on building your aerobic endurance in the months leading up to your trip. If you’re already a runner/walker/cyclist/etc, just keep doing your thing! If you don’t regularly do any sort of “cardio” exercise, or you mainly focus on yoga and strength training, start trying to incorporate longer bouts of walking or running into your regular routine. This will lay your fitness foundation for more challenging training in the future. Ideally, at this point in your training you should increase the frequency and intensity of your hiking. We are lucky enough to live in Boulder, Colorado, so we have plenty of trails in our (figurative) backyard. We started this phase of our training by aiming to incorporate a hike into our workout schedule on a weekly basis. We tried to select hikes that would take us two hours or longer with at least 1,5000 feet of elevation gain. Sometimes life got crazy, however, so during the busy weeks we just tried to sneak in whatever hiking we could. If you don’t live near the mountains, or your climate doesn’t allow for hiking at this point in your training, don’t fret because you’ve got options. Your main goal is to build your aerobic endurance and your leg strength. You can achieve similar results by doing anything that involves incline; bike uphill, set a treadmill to high incline, or spend some time on the step machine at your gym. Heck, you could even walk the stairs at the local high school stadium if you wanted to. As long as you’re moving your body uphill a few times a week, you will be setting yourself up for a happier TMB. 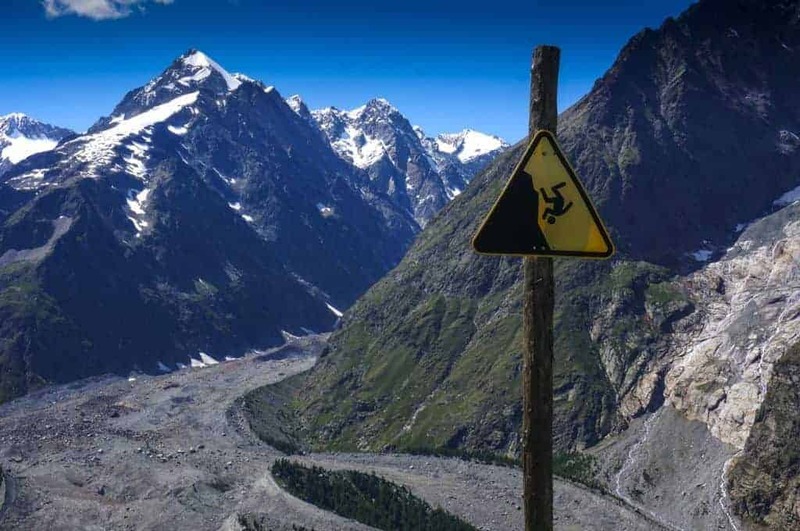 Start hiking uphill around 3 months before your trip to be prepared for climbs like this. Remember all of that brand new gear sitting in your closet? Now is the time to break it in! In the eight weeks or so before your trip, try get in as many longer hikes (or walks) with your gear as possible. Think of it as a “dress rehearsal” for your trek. The benefits of breaking in your gear at this point are twofold. First, you’ll be able to test your boots, backpack, socks, and so on to ensure that they fit well during longer hikes. Second, you’ll begin training your body to hike while wearing a heavy backpack. 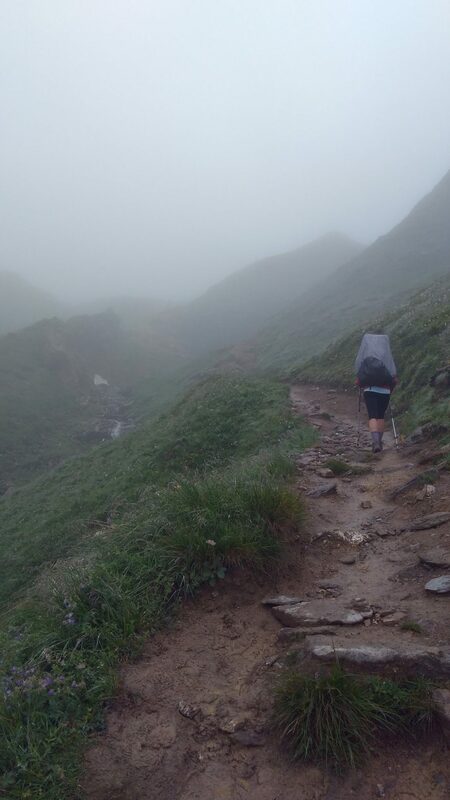 If you’re new to backpacking, you’ll be surprised by how much more challenging hiking is with the extra weight. For me, the biggest adjustment was learning to deal with the extra strain on my hips and knees when hiking steeply downhill. Even if you’ve been strength training, chances are you’ll be using new muscles when hiking with a backpack. The best way to condition your body? Hiking as much as possible with a heavy backpack! You might be wondering how to add weight to your pack without completely packing for your trip. Our advice? Look around your home and throw anything-literally anything- heavy into your bag. When we were training, we threw five-pound weights, jars of oats, bottles of water, blankets, and textbooks into our bags. Then we headed over to our local trail. Did some fellow hikers look at us like we were crazy with our giant backpacks? Yes. But did we strike up some awesome conversations AND get our bodies in shape for the TMB in the process? You better believe it. This stage in your training is awesome because it requires you to take a vacation (you’re welcome). If at all possible, try to take a 1-2 night backpacking trip in your local woods. If you aren’t planning on camping along the TMB you don’t need to take an overnight trip, but you should still try to fit in two back-to-back days of long, hard hiking. 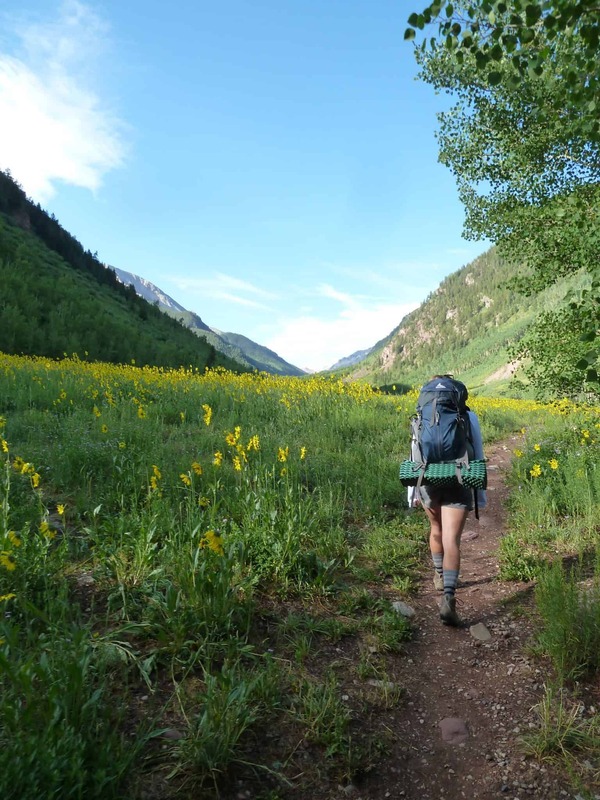 This important step allows you to try out different ways of packing your backpack for maximum fit and comfort, practice setting up camp, and get your body used to hiking for consecutive days in a row. It will also give you the chance to see what items you packed that you don’t need, what you may have forgotten, and what kinds of foods you want to bring. Move, preferably uphill and with weight on your back, as much as possible. Do this and you will be able to enjoy every moment of your incredible trip so much more. Plus, the time and effort you spend working towards your goal will make the real thing that much sweeter. I can’t stress enough how glad we were that we’d prepared for the challenge of a thru-hike like the TMB, and I hope our experience can help you have your best possible trip. Thank you for the information! I live near Longmont. Are there trails in the area you’d recommend more than others? My TMB hike will take place mid June. Awesome to have a neighbor on the site! If you’re willing to travel to Boulder, we recommend the Mt. Sanitas Trail and the Royal Arch at Chautauqua. While these can be super crowded sometimes, they are perfect for getting practice on the steep vertical stuff while wearing a bigger pack. Plus, they are nice and short so you get a lot of bang for your buck. Hope this is helpful! Thank you! I hike Sanitas often…as a matter of fact a couple of weeks ago! I’ve also hiked the Royal Arch. I’ve not done either with a weighted pack, I’ll do that this week. My goal is to get out weekly and by May to get on the trails at Brainard and RMNP. Happy hiking, neighbor! If you’re not camping, you can get by with a much smaller pack. Depending on how light you like to travel, anywhere from 35L-50L should be plenty. You might want to lay out everything you think you’d bring, and then pick a pack from there. Make sure you try them on with weights at the store to get a feel for what you like. REI and other outfitters will help you weigh down and fit your pack so you can get an accurate feel for it. As for the strange looks you’ll get on those loop trails, it’s all part of the experience 😉 Enjoy!